10k yellow and white gold cuff bracelet. 60mm (2.3 inch) inside diameter. 67mm (2.6 inch) Length of bar. 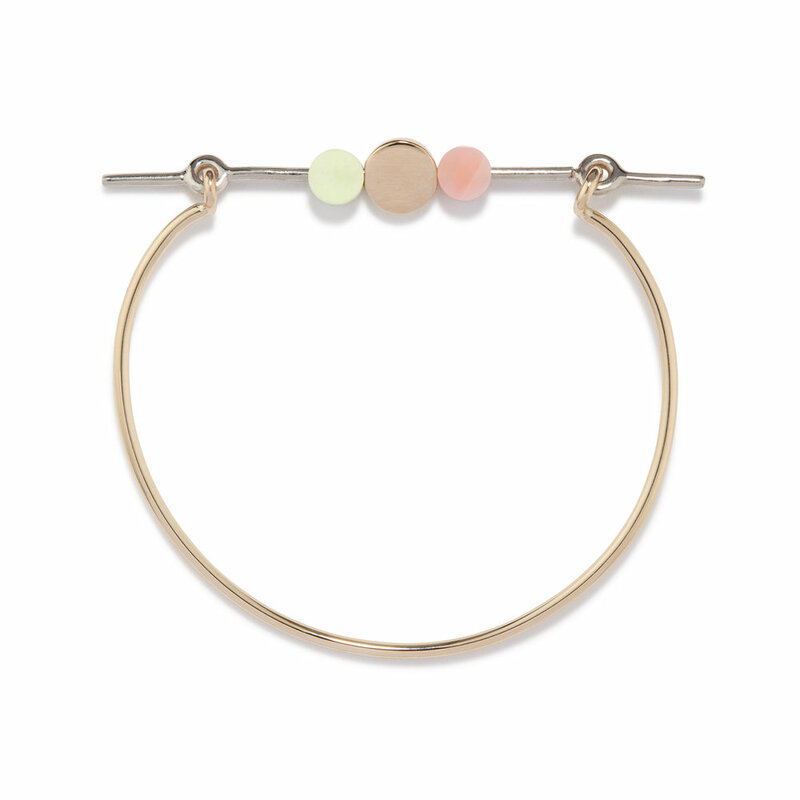 6mm Lemon Chrysoprase and pink opal stone discs. 9mm solid gold disc. Movable.